An interest rate is the rate at which interest is paid by a borrower (debtor) for the use of money that they borrow from a lender (creditor). Specifically, the interest rate (I/m) is a percent of principal (P) paid a certain amount of times (m) per period (usually quoted per annum). For example, a small company borrows capital from a bank to buy new assets for its business, and in return the lender receives interest at a predetermined interest rate for deferring the use of funds and instead lending it to the borrower. 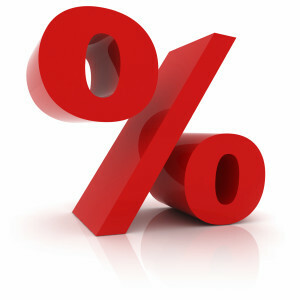 Interest rates are normally expressed as a percentage of the principal for a period of one year. Interest-rate targets are a vital tool of monetary policy and are taken into account when dealing with variables like investment, inflation, and unemployment. The central banks of countries generally tend to reduce interest rates when they wish to increase investment and consumption in the country’s economy. However, a low interest rate as a macro-economic policy can be risky and may lead to the creation of an economic bubble, in which large amounts of investments are poured into the real-estate market and stock market. This happened in Japan in the late 1980’s and early 1990’s, resulting in the large unpaid debts to the Japanese banks and the bankruptcy of these banks and causing stagflation in the Japanese economy (Japan being the world’s second largest economy at the time), with exports becoming the last pillar for the growth of the Japanese economy throughout the rest of 1990’s and early 2000’s. The same scenario resulted from the United States’ lowering of interest rate since late 1990’s to the present substantially by the decision of the Federal Reserve System. Under Margaret Thatcher, the United Kingdom’s economy maintained stable growth by not allowing the Bank of England to reduce interest rates. In developed economies, interest-rate adjustments are thus made to keep inflation within a target range for the health of economic activities or cap the interest rate concurrently with economic growth to safeguard economic momentum.